This book presents the radically new theory of subjectivity found in the work of Jacques Lacan. Against the tide of post-structuralist thinkers who announce "the death of the subject," Bruce Fink explores what it means to come into being as a subject where impersonal forces once reigned, subjectify the alien roll of the dice at the beginning of our universe, and make our own knotted web of our parents' desires that led them to bring us into this world. 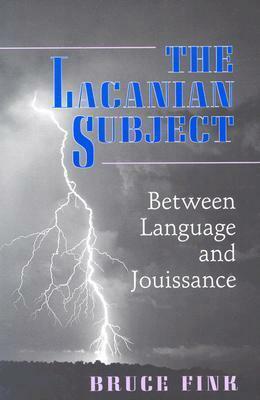 Lucidly guiding readers through the labyrinth of Lacanian theory--unpacking such central notions as the Other, object a, the unconscious as structures like a language, alienation and separation, the paternal metaphor, jouissance, and sexual difference--Fink demonstrates in-depth knowledge of Lacan's theoretical and clinical work. Indeed, this is the first book to appear in English that displays a firm grasp of both theory and practice of Lacanian psychoanalysis, the author being one of the only Americans to have undergone full training with Lacan's school in Paris. Fink Leads the reader step by step into Lacan's conceptual system to explain how one comes to be a subject--leading to psychosis. Presenting Lacan's theory in the context of his clinical preoccupations, Fink provides the most balanced, sophisticated, and penetrating view of Lacan's work to date--invaluable to the initiated and the uninitiated alike. Bruce Fink is a practicing Lacanian psychoanalyst, analytic supervisor, member of the Ecole de la Cause freudienne in Paris, and Professor of Psychology at Duquesne University. He is the author of A Clinical Introduction to Lacanian Psychoanalysis: Theory and Technique.